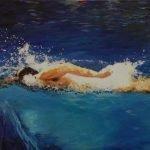 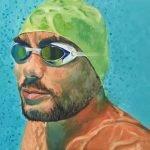 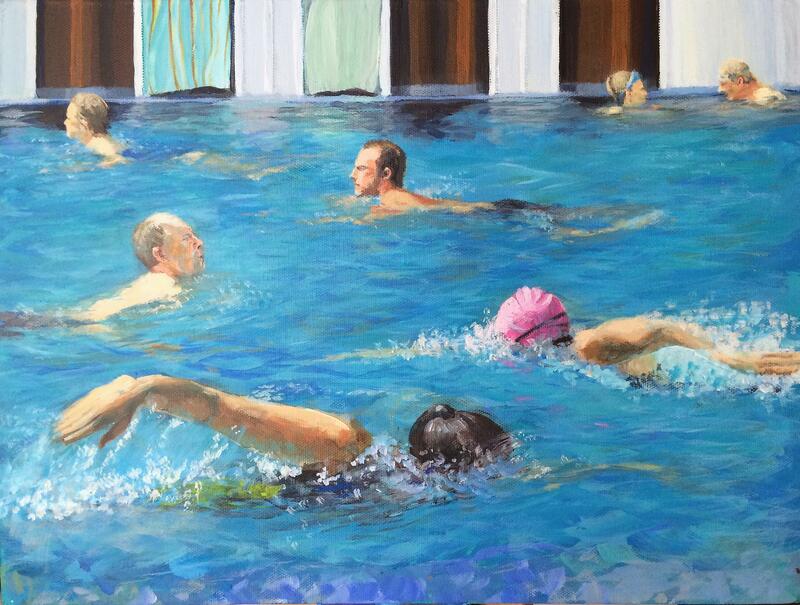 Artist Jenny Shah has been painting swimmers at the Bristol Lido for the last 6 years. 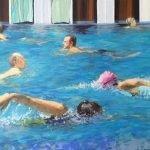 For her the Lido is an urban oasis, an inspiring place to relax, work, and catch up on the latest gossip in the sauna. 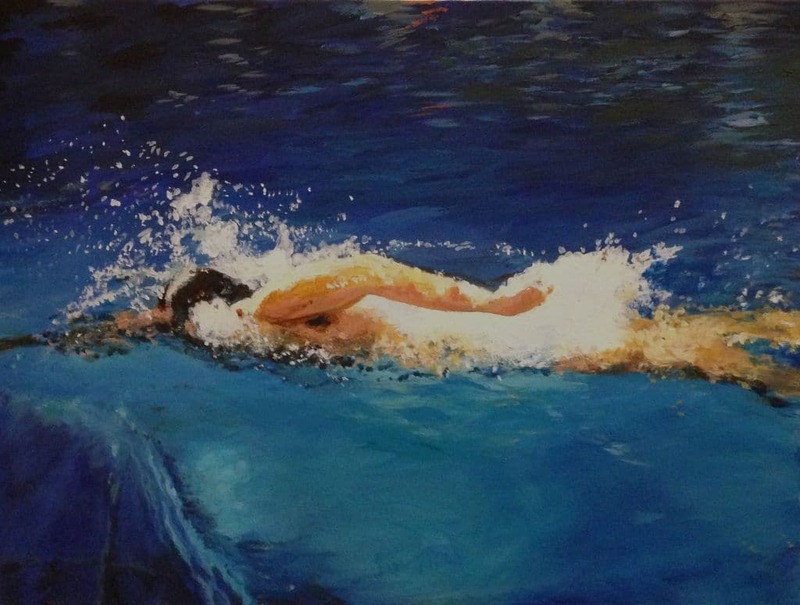 The cafe offers a poolside view, perfect for sketching and studying the way the light changes the blue tiled pool and the interaction of swimmer and water. 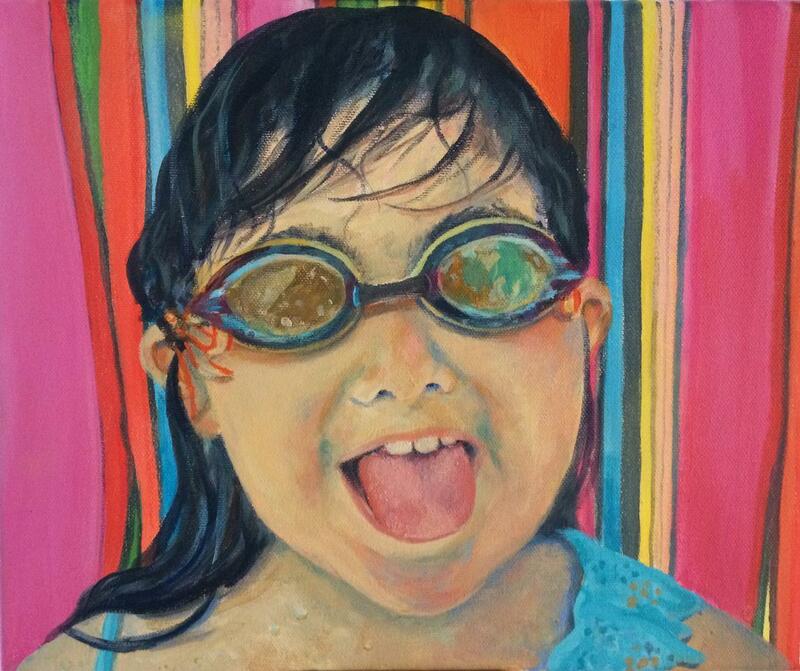 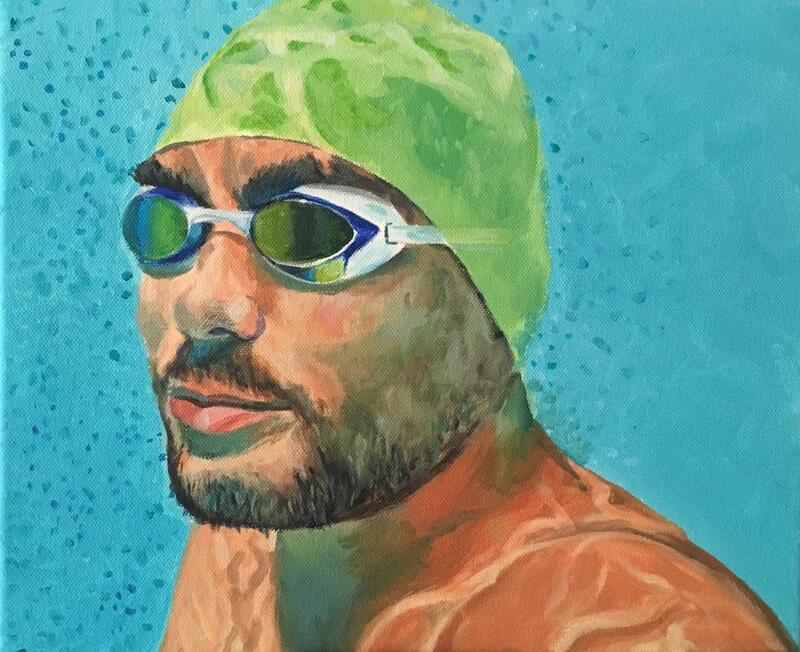 Jenny’s latest project ‘Hats and Goggles’ is her first series of portraits which she hopes will encourage fellow Lido and outdoor swimming enthusiasts to send in their swimming selfies for a commission based portrait.